We have updated our Blogs@UCI service to the latest version of WordPress. We are now running 3.1, codenamed “Reinhardt” in honor of the jazz guitarist Django Reinhardt. A new internal linking tool to make it easy to link to existing posts and pages. An Admin Bar to quickly reach your most-used dashboard functions. 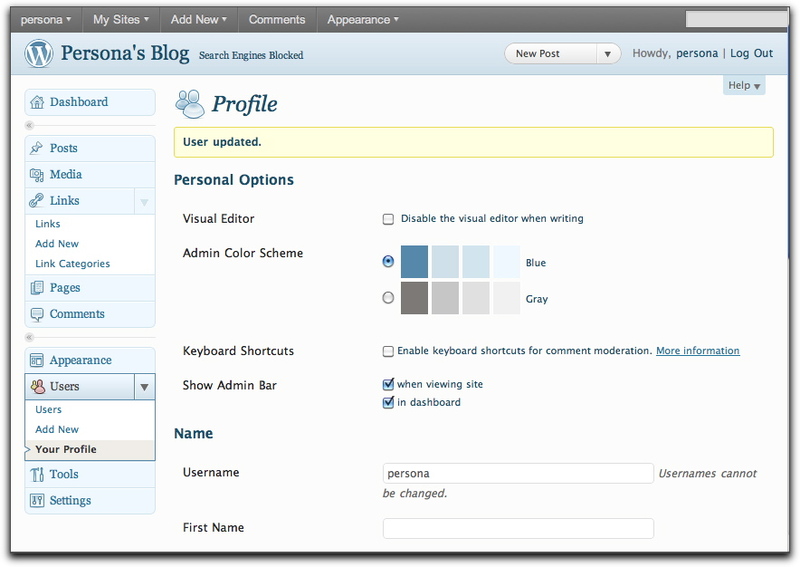 If you are logged into your site, you will see the Admin Bar on the public view and the Dashboard. The blue Admin Color Scheme has been updated. This is available in your Personal Profile. 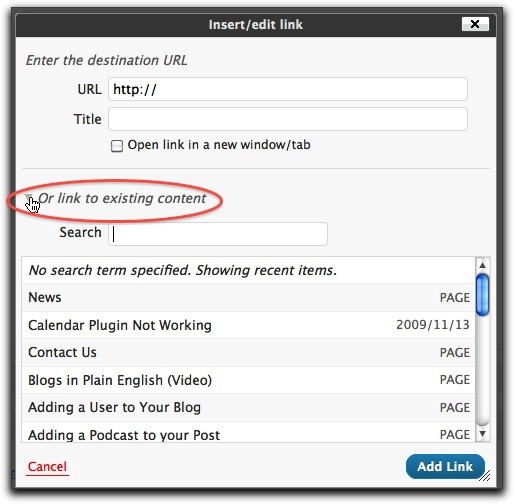 Linking to internal pages and posts just got easier in WordPress 3.1. In a Post or Page, highlight the text you want to link. Select from one of your existing pages or posts and click the Add Link button. 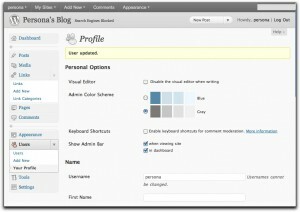 A new Admin Bar is available when you are logged in to your blog. You will see it from the public view and from the admin view. If you have or are a member of more than one site hosted on Blogs@UCI, you can access your other sites from the My Sites drop down menu. View the video screencast on the Admin Bar. Many of the seldom used panels are now hidden by default when writing Posts or Pages. You can customize this interface by selecting the Screen Options tab at the top right. This will expand the Screen Options to allow you to show or hide the panels you prefer. Hint: Click the Screen Options tab again to collapse this view. You can change your Admin color scheme from the default of gray to blue. This is not a new feature, but the blue color scheme has been updated with lighter blue hues. Select “Edit My Profile” from the Admin Bar drop down menu under your name. Click on your name next to “Howdy” in the top right. Select Your Profile from the Users Panel on the left. 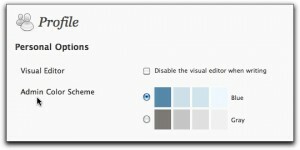 Select either the Blue or Gray Admin Color Scheme and click Update Profile at the bottom of the screen.